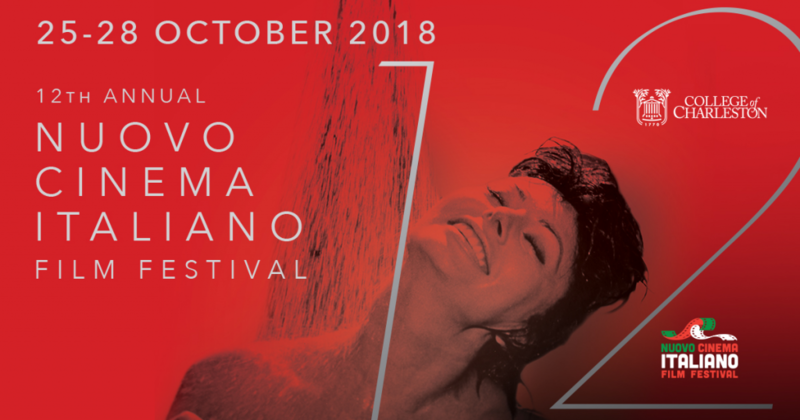 CHARLESTON, SC – Nuovo Cinema Italiano Film Festival (NCIFF), in partnership with the College of Charleston, announce the 12th edition of the four-day film festival celebrating contemporary Italian cinema and culture with film screenings, conversations with directors, and special events, opening Thursday, October 25, concluding Sunday, October 28, 2018 at the Sottile Theatre, 44 George St, Charleston, South Carolina. Nuovo Cinema Italiano Film Festival Nuovo Cinema Italiano Film Festival (NCIFF) presents the most artistically significant of contemporary Italian cinema from both established and emerging directors. With feature film screenings, special guests and a variety of events, NCIFF is the premiere event in the Southeast, U.S.A, promoting Italian arts, language and culture.